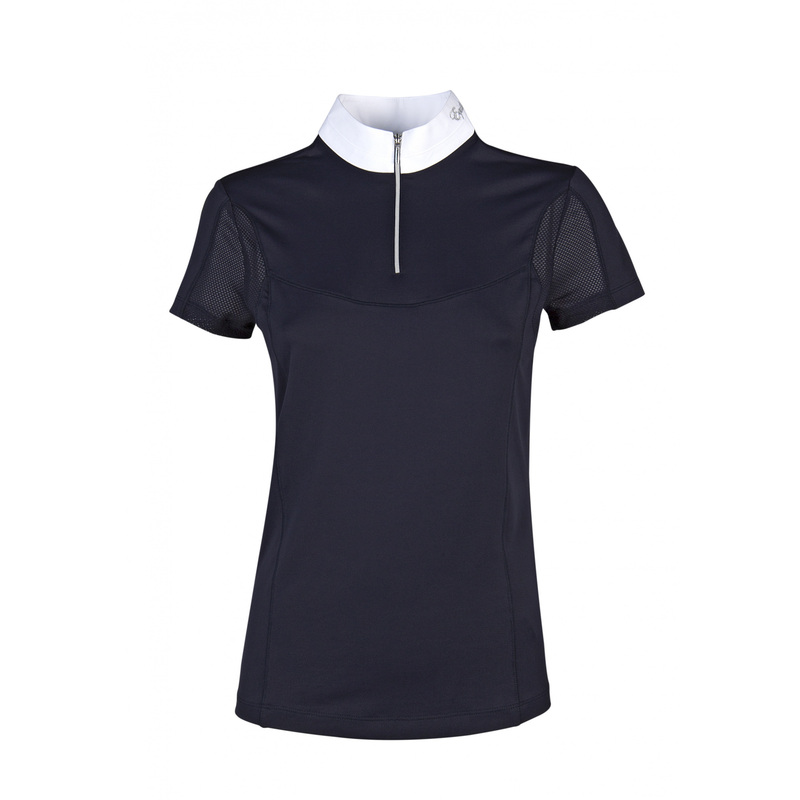 Ladies' show shirt Briony provides maximal comfort while wearing it under a show jacket, due to mesh structure on its sleeves and armpits. What is more, the material of which the shirt is made is breathable and moisture draining. 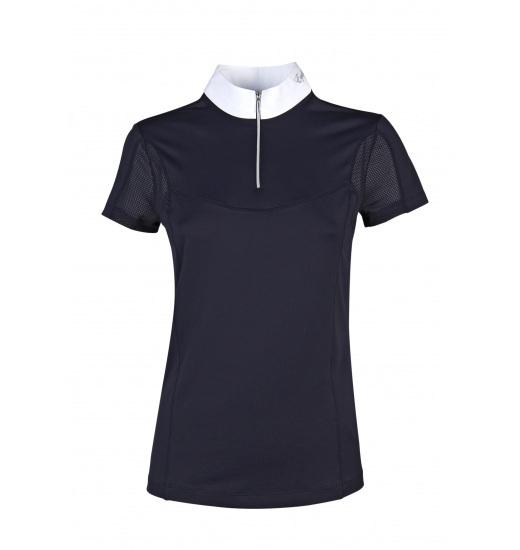 The shirt is fastened with a zip under a stand-up collar on which there is a silver Equiline writing. 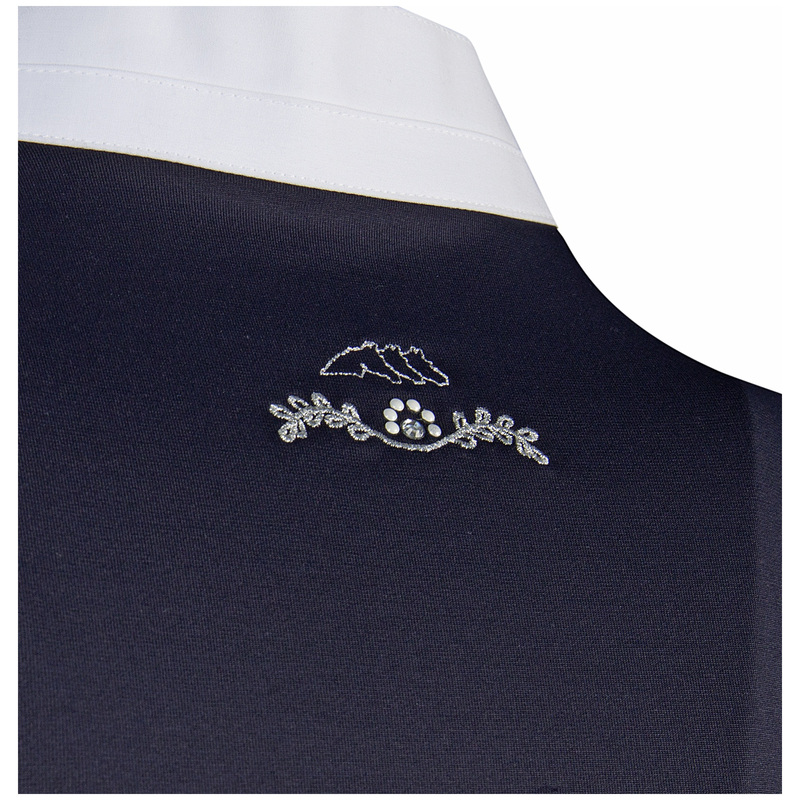 It is decorated with an embroidered with silver thread brand's emblem on the back.